How strong is your garage door? Did you know that at 90 mph, the wind has the potential to destroy a low quality garage door? Mortland Door Systems can offer you high quality garage doors that can withstand high winds thanks to their material and insulation. Mortland Door Systems can offer an annual maintenance program that will ensure your door is in good working condition the entire year. DIY is not an approach you want to take when it comes to your garage door. 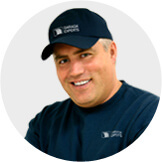 Mortland Door Systems has a team of employees with the knowledge and experience you need. Put your trust in garage door specialists. Do you want more control over your garage door's look and design? The Design Centre makes it easy for our customers to look at each variety of garage door so they can choose what's right for their home. Check out the different design styles and options, including colors, windows, and accessories. 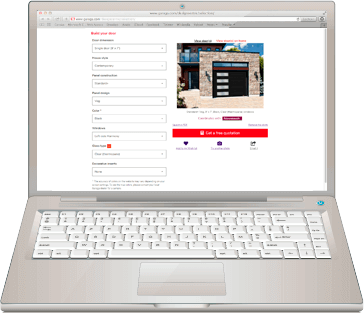 You can even add a picture of your home and then compare the before and after shots once you've installed the garage door. It is fast and easy. Get the door that's right for you with the Design Centre! Your garage door has more affect on the value of your home than you might realize. Our employees at Mortland Door Systems understand just what a difference it can make and how it can help to increase your home's curb appeal. 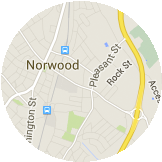 You can rely on the technicians and installers working in Norwood, MA to help you make the right choice. They will help you understand more about the options available and can explain what they mean. Best of all, they can ensure you are getting the right door for your budget and needs. You don't buy garage doors every day, so make the right choice by choosing a GARAGA garage door. No one relishes the thought of someone breaking in through their garage door. When you use LiftMaster garage door openers, you can improve the safety of your garage and home thanks to the reliability and durability they offer. You can even use the unique operating system to make sure your door is always closed properly. Mortland Door Systems is happy to provide you with the best options on the market, including LiftMaster. Mortland Door Systems has top quality employees, and thanks to the experience they've gained over years in the field, they can provide you with the best quality installations. Eventually, your garage door will need to have some maintenance and checkups to make sure it is working properly. 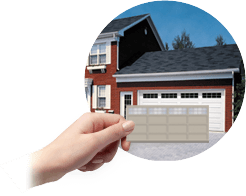 Our garage door specialists can ensure you are getting the best door and they can install and repair any brand that you might have. They can work on residential, industrial, commercial or agricultural garage doors. We're there to help no matter your need.